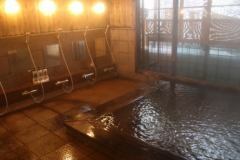 Sarukura Onsen is 100% with sinking water from the Sarukura Onsen.The characteristic of this hot spring is a hot spring with a high content of sulfur and calcium (lime) and soft stimulation to the skin.Temperature adjustment is not water addition, but it is done with the amount of hot water. 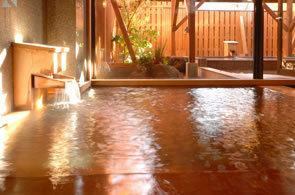 Of course in cold winter, you can relax from the body core when entering hot hot spring even in hot summer.The temperature changes with the day. Efficacy / neuralgia, rheumatism, muscle pain, frozen shoulder, hemorrhoid, sore throat, bronchial etc. The Aomori Hiba style indoor bath Bath and the Outdoor Bath Ishirobasu, where you can enjoy 4 baths in one day, will exchange gender in time.To accommodate guests, we change baths at 15:00 and 20:00 so that we can have two outdoor baths. Fountain quality is soft colorless transparent water of simple fountain. Efficacy is neuralgia, rheumatism, muscle pain, frozen shoulder, hemorrhoid, sore throat, bronchial etc.In the bathroom steam of the hot spring like a mist sauna, prompt sweating, smoothing the skin. Aomori Hiba style indoor bath can experience the warmth and Aomori Hiba style indoor bath of a tree. With the relaxing effect of sticky and sterilizing effect, refreshingly, with the light overflowing from the outside, leisurely. 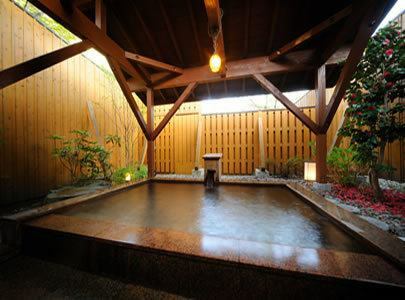 ●Outdoor bath stone bath●, Open-air bath where you can enjoy the seasonal trees.Seasonal wind and chirping of birds, accent of the time that flows slowly.It is an outdoor bath where cherry blossoms and autumn leaves dance. 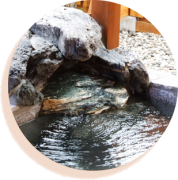 Two outdoor baths are stone baths of different types. You can feel cherry blossoms and camellia in May, mountain cherry trees and fresh green in June, the summer starry sky, the winter snowmind, and the four seasons of Aomori.We are setting a fence so that you can take a bath in the spring wind and the winter snowstorm, so please come with a sense of security. 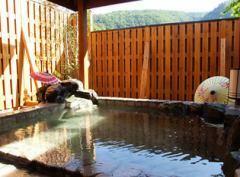 Please, relax your daily fatigue at the fresh spring hot spring. You can use "Remote open-air bath cobble bath" for private use.We have four groups on weekdays only for reservation.If you wish, please contact us when booking your room. I prepared a high & low chair bed and a baby bathtub so that I can take a bath with a baby.For elderly people who are not good at bath chairs, we installed a handrail in a safe seat for nursing care and a bathtub.Please come by your family. We are waiting for use on a day trip. 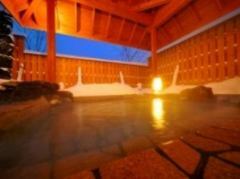 There is also a day-trip plan single-day hot springs as well as private room breaks and meals. 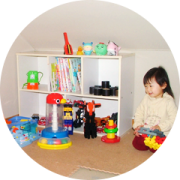 ※There are times when you are cleaning even in time, so please check by telephone. ※When there are a lot of reservations for accommodation and day trips · If you are congested, we may refuse. ※Private room use · Meals are not included. 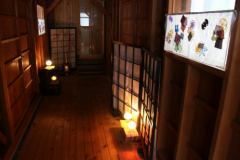 ·The bathroom has a male and female shift system.It will be done at 3 PM and around 8 PM. ·Shampoo, rinse and body soap are available in the bathroom.Bath towel rental and towels are also available (charged). Amenity pleasing to women.Cleansing oil and lotion etc are prepared in the washbasin space.In the bathroom, we offer two types of shampoo, Kanebo and POLA. 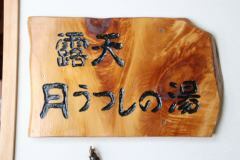 Passion ① It is a sprinkling hot spring from the source. Passion ② There is no water addition / warming. Passion ③ I want to have the hot water as it is, so high concentration chlorine treatment · circulation of hot springs is not done.Passion ④ The reason is in the daily cleaning.The use time of day trip hot springs is from 13:00.There are many people who think that it is inconvenient, but we take care of polite cleaning over time. 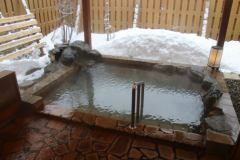 Passion ⑤ We conduct inspections such as Legionella bacteria and make it a safe and secure hot spring. 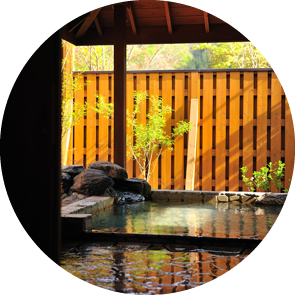 Passion ⑥ We give guidance on bathing with priority to guests of accommodation.There are a lot of customers who use day trips so that the baths are not going to be fine. Passion ⑦ Enriching amenity for ladies. Do you know "bathing clothes (bath time cover)" worn by people with bruises in their bodies when taking a bath by breast cancer surgery? It is about bathing underwear made with consideration for sanitation. If you are wearing a bathing suit, I do not care about the eyes, I enjoy relaxing hot springs and I hope that people around you will understand with warm feelings. 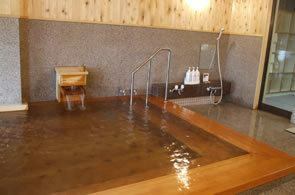 ·You can take a bath in the hotel by wearing a bathing suit. You can rent outdoor bath on week days only. Up to 4 pairs per day, we will accept reservations at check-in. You can use it for 1,200 yen for 40 minutes.